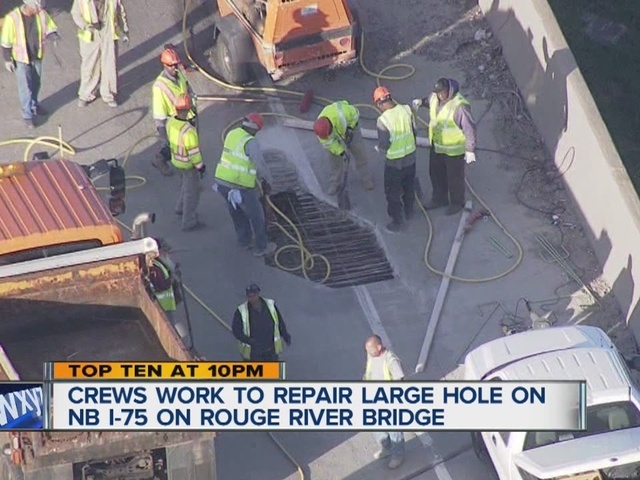 Crews are working to repair a massive hole that opened up on northbound I-75 on the Rouge River Bridge in southwest Detroit. 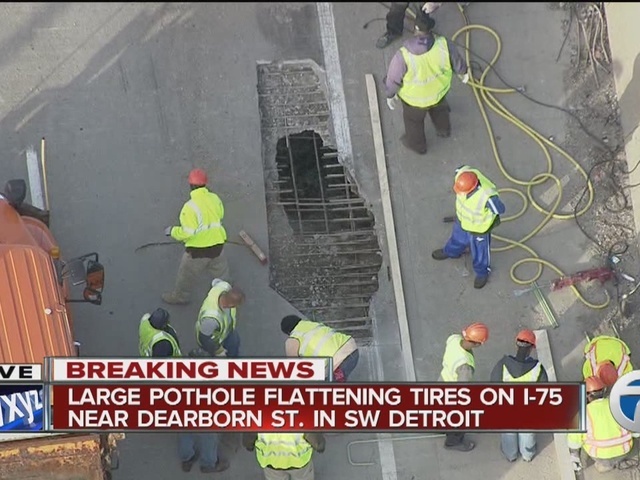 Several cars have flat tires due to the giant hole, which measures 15 feet by 6 feet.. The Rouge River Bridge has had major issues with potholes in the past, including in March of 2014. The area has now been blocked off to drivers. Drivers say it's time to shut the bridge down and make repairs before tragedy strikes. However, the nearby Fort Street and Jefferson bridges are already closed for repairs, which although approved, still aren't underway. Repairs on the bridge are expected to stretch into Friday morning. Crews hope to have all four lanes open for rush hour. More permanent repairs are expected to being in 2017 at a cost of 100 million dollars.